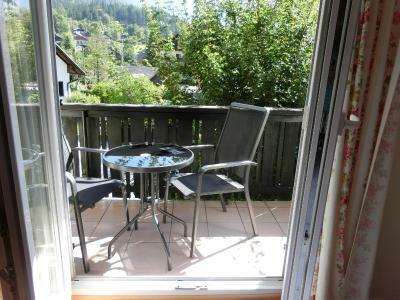 Lock in a great price for Hotel Haus Am See – rated 8.2 by recent guests! 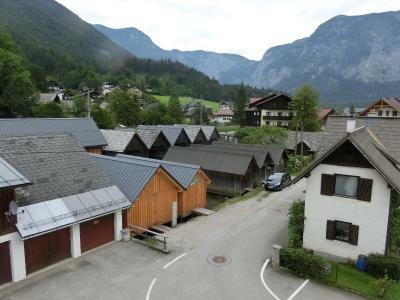 Good location closed to Hallstatt Easy to access and free car parking in front of the hotel. There is good restaurant nearby with lake view. Good to have beer with fresh breathing. Room condition is good and clean. There is guess kitchen provided. (The boat service is available nearby but i did not try due to the service was stopped when i arrived the place). 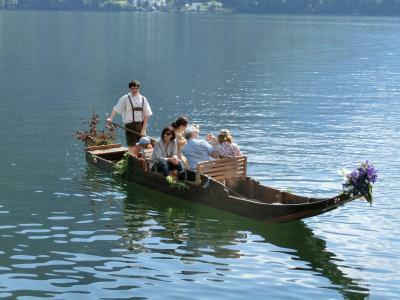 It is convenience to travel to the Hallstatt or lake tour anyway. 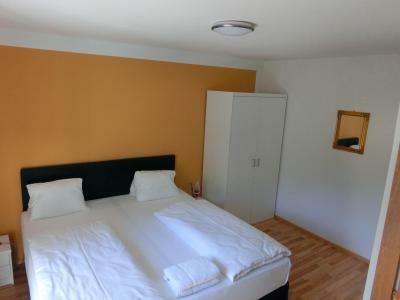 Check in: smooth Bed: nice Parking: easy with ferry to Hallstatt right next door Ambience: peaceful and quiet Laundry: available Food: available nearby but not all are open during the day. Some open for evening only. View from the room was amazing (recomend booking a room with a view in summer). Rooms were super clean! And since it's restricted to talk loud after 10pm, it was super QUIET! :D beds were extremely comfy and the hotel is right in front of a bus station. And the place is easy to find from central station, just follow the signs. Breakfast and the views are great. Cleanliness is good. we booked a room viewing the lake and our expectations were met. 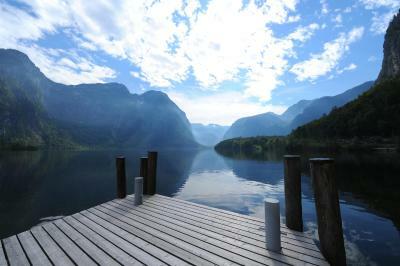 we had an amazing view towards Hallstatt and the mountains surrounding it. the breakfast was good so far and we did have a very pleasant stay at the Haus am See. Like the view and the hotel location were nearby the train station. Owner of the hotel is very friendly, gave us a helpful suggestion, breakfast is good, nice location, room is clean. I like the location of the property and it faced to a nice view. Close to the train station we travel from and to. 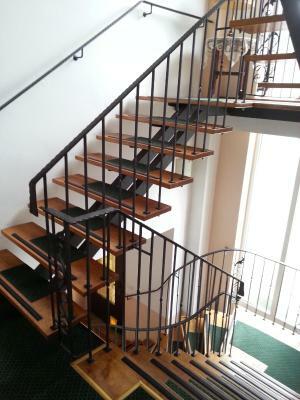 The location is perfect, near the train station, the bus station, and directly in the lake side. The view looked out of the window is fabulous. You can see the lovely lights from Hallstadtt in the evening. 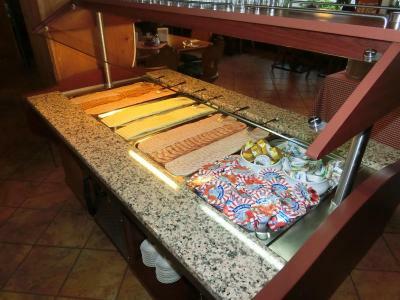 The simple buffet breakfast is a good start for exploring the fairyland. 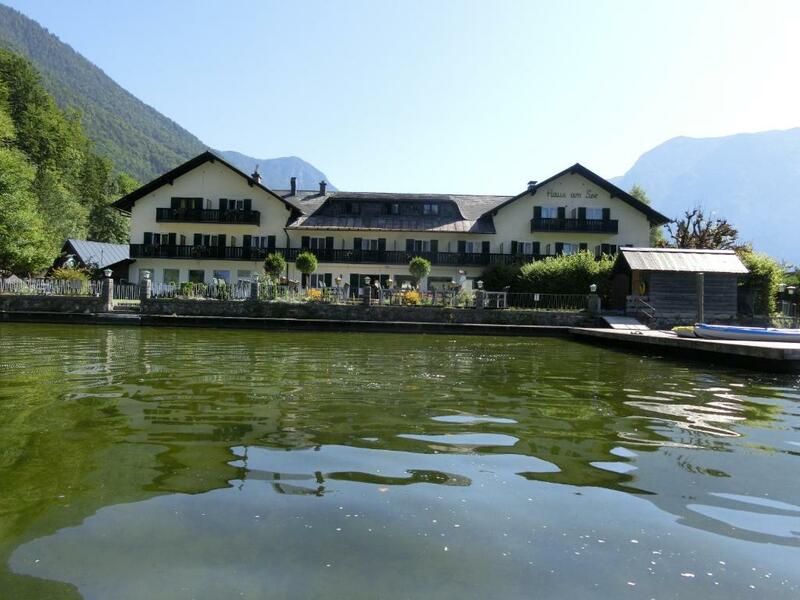 One of our top picks in Obertraun.Hotel Haus Am See is the only hotel in Obertraun which is located directly at Lake Hallstatt. It offers a private bathing jetty as well as panoramic views of the lake, the town of Hallstatt and the impressive Dachstein Mountains. 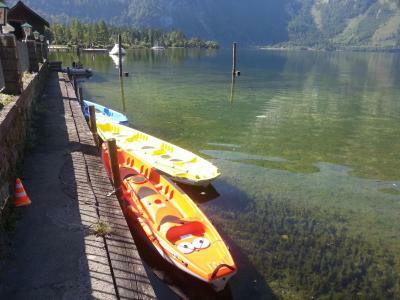 Hallstatt can be reached in a 5-minute drive or by a ferry leaving next to the hotel. 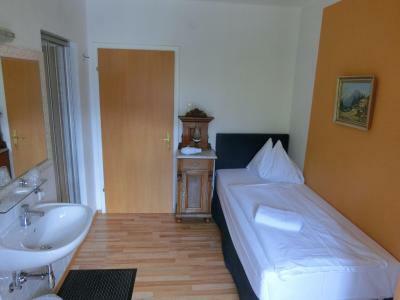 The rooms at Hotel Haus Am See all come with luxurious box spring beds and a TV and offer mountain or lake views. Free WiFi is provided. In fine weather, breakfast is served on the terrace overlooking the lake. Various restaurant options for lunch and dinner are close by. 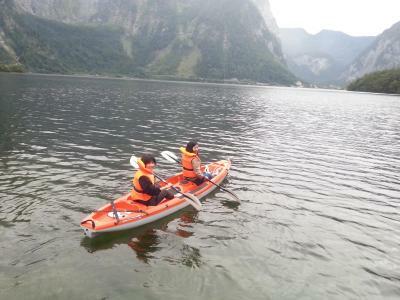 Guests can rent kayaks to explore the scenic surroundings of the Hallstatt-Dachstein-Salzkammergut UNESCO World Heritage Site. Furthermore the property is an ideal starting point for several activities, such as mountain biking, hiking and scuba diving in summer, and ski shoe hiking and skiing in winter. 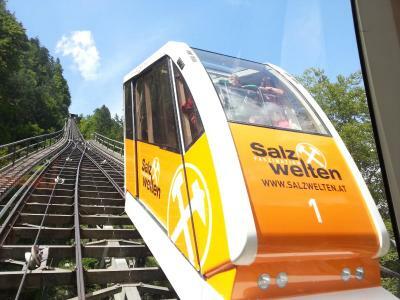 The Dachstein-Krippenstein Cable Car is a 5-minute drive away. 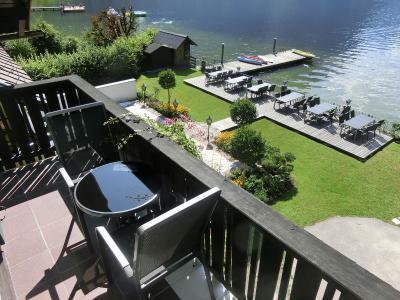 When would you like to stay at Hotel Haus Am See? 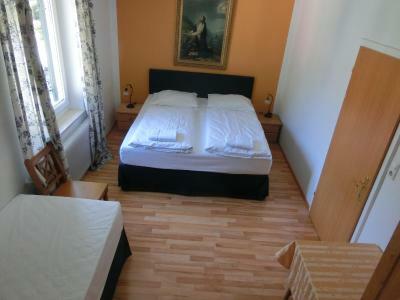 Double room with a TV and a bathroom. 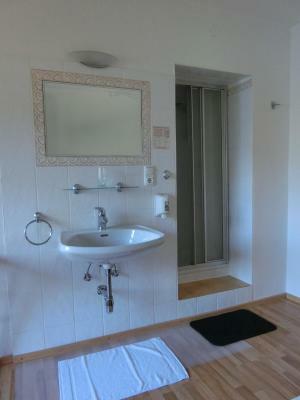 This room features views of Lake Hallstatt. 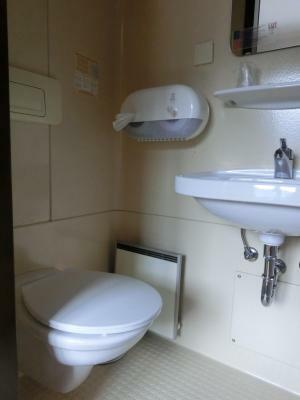 Double room with a TV and a bathroom. This room features mountain views. 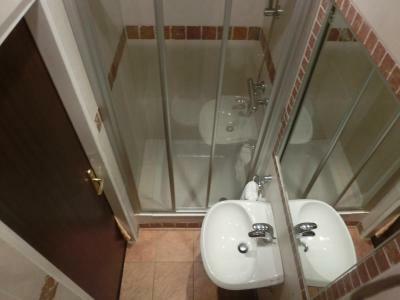 Single room with a TV and a bathroom with a shower. 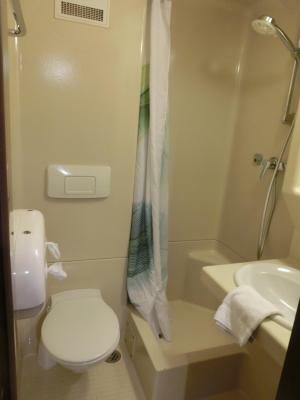 Single room with a TV and a bathroom with shower. Please note that the house is not located at the lake but 1.9 mi by car from the Hotel Haus am See. On request breakfast can be consumed in the hotel building. Please note that depending on the number of guests, not all bedrooms can be used. All 3 bedrooms are only available for 5 or 6 guests. 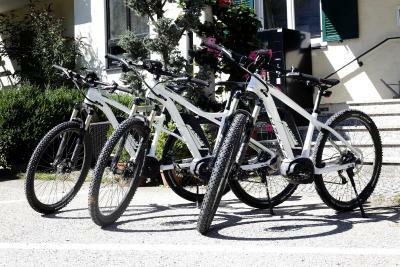 House Rules Hotel Haus Am See takes special requests – add in the next step! 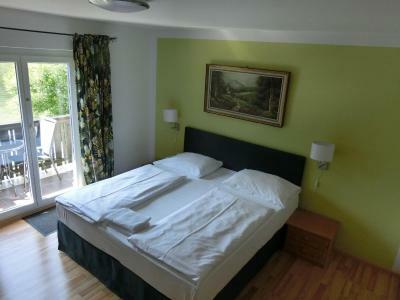 Debit card Hotel Haus Am See accepts these cards and reserves the right to temporarily hold an amount prior to arrival. Hotel Haus Am See accepts these cards and reserves the right to temporarily hold an amount prior to arrival. Late check-in is possible for an additional charge upon prior confirmation by the property. Contact details are stated in the booking confirmation. Please note that smoking is strictly forbidden in the entire property. It is also not allowed on the balconies or in the public areas. A penalty fee of EUR 220 per incident will be charged. Please note that the property´s restaurant is closed until further notice. Several restaurants and bars can be found within a few minutes´ walking distance. Please note that cooking is strictly forbidden in the rooms.A penalty fee of EUR 220 per incident will be charged. Please inform Hotel Haus Am See of your expected arrival time in advance. You can use the Special Requests box when booking, or contact the property directly using the contact details in your confirmation. We enjoy staying at this hotel it is well located and very nice place! I've never written any comment about any hotel before but this people running this one should learn more how to treat their guest! I went at 9h32 for breakfest, they told me No we close the restaurant at 9h30. I came back to the hotel at 10h15 and I find some people taking their breakfest. I asked them how come it's open now and they didn't respond back!! 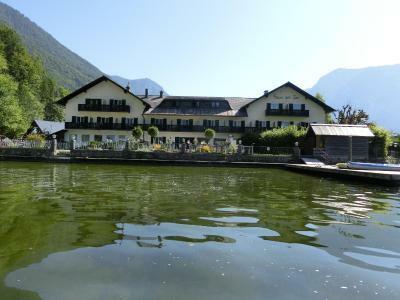 For everyone coming to Hallstatt, there are 56 hotels there and I could ensure that you will have a better treatment in anyone of them but expect the worst from this Hotel. The mirrors at the corridors is scary when it is dark. Even though our room has an issue, the problem is solved in no time. Staff are efficient and very helpful. Breakfast is good, the room has a great view to the lake. Breakfast was wonderful, and the staff was friendly. Only good things to tell others who are travelling nearby. Great place, breakfast, and host. Good for photographers. Laundry was given in the morning before but was still in the washer, the next morning of check out. A bit old hotel but well in this area I think this is the best we can get. We still be back next time if we visit Hallstatt. We loved the atmosphere of the hotel. It is just next to the lake and you can walk there, having some fun at the playground nearby or breath the fresh air on the small bridge owned by the hotel. 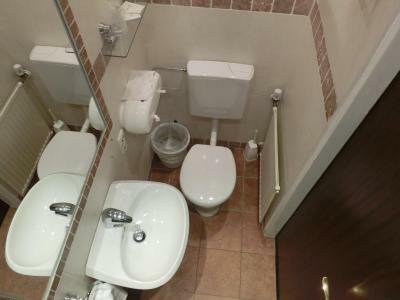 Bathroom was very clean and tidy. Smartly organized. 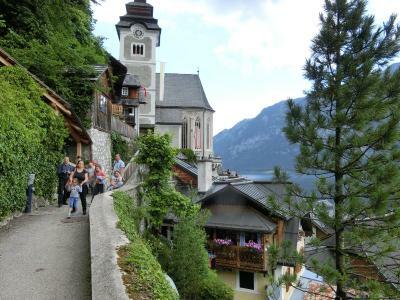 5km to Hallstatt but free bus till 5:30pm and we can always get a taxi at night from Hallstatt back to the hotel. 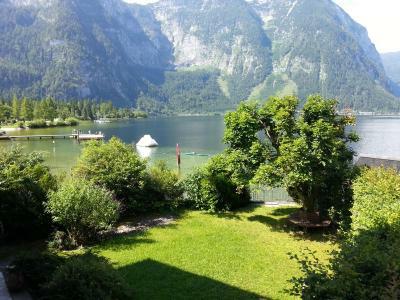 Perfect location and home base for excursions in the area... the view on the lake, the surrounding mountains and Hallstatt is just breathtaking. Would certainly like to come back.